A family of baked filled pastries made with phyllo dough and filled with cheese, meat or vegetables. 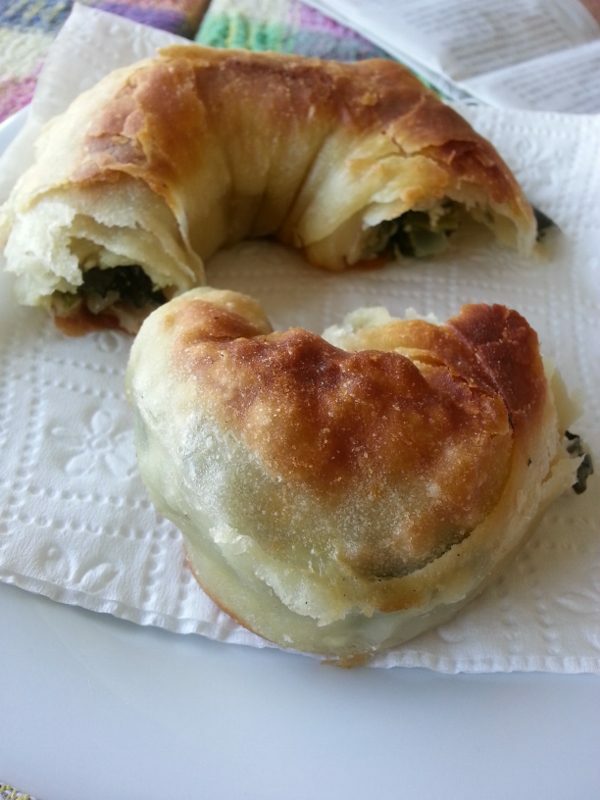 We had fresh home-baked Borek made with spinach, cheese and onion for breakfast in Alaçati (on the Çesme Peninsula near the Aegean Sea). It was similar to spanakopita but the layers of phyllo dough were tender, not crunchy.